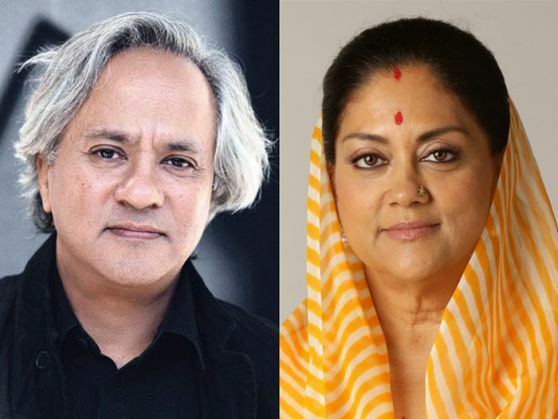 Home » national news » Why did Vasundhara Raje drop Anish Kapoor from Rajasthan's cultural panel? Why did Vasundhara Raje drop Anish Kapoor from Rajasthan's cultural panel? Noted British sculptor Anish Kapoor, who had made scathing remarks against Narendra Modi government in a UK daily during the Prime Minister's visit there, has been removed from Rajasthan's cultural panel, two days after he was nominated by the BJP-ruled state government. The Vasundhara Raje government nominated the controversial sculptor and 11 others as the members of the Governing Board of Jaipur's Jawahar Kala Kendra on November 16. Kapoor's article critical of Modi appeared in the Guardian on November 12, where he had raised the issue of alleged 'intolerance'. Rajasthan Tourism minister Krishnendra Kaur, however, canceled the nominations of all 12 members, including Kapoor, last night saying that she was unaware of the nominations and the Principal Secretary of the department had issued the order without consultation. "Nomination of all the 12 members has been canceled last night. I had no idea of the nomination earlier," Kaur said. Kaur's decision to cancel the nomination came after she was queried by reporters yesterday about Kapoor's nomination to the panel, especially after he remarks against the Modi government during the PM's visit to the UK. Pooja Sood, the Director General of JKK, said that the list was issued by the government on November 16. Interestingly, there was no artist from Rajasthan to get nomination in the list that carried names of educationists Homi K Bhabha, novelist Jeet Thayil, among others.